Looking for a beautiful, bountiful & clean HTML5 template? 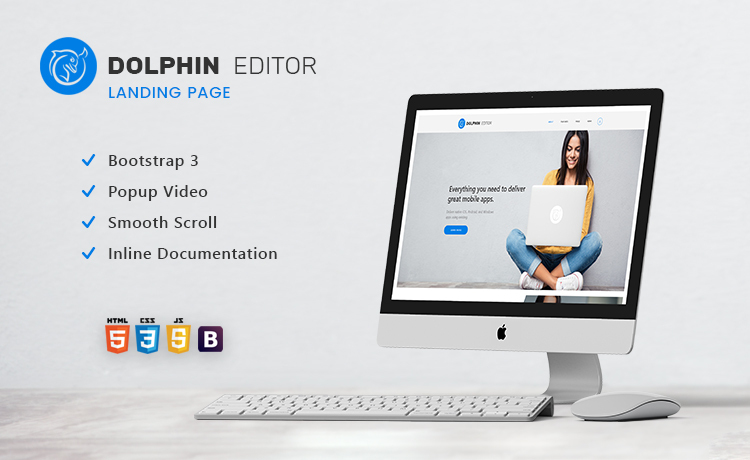 Download Dolphin, a Free HTML5 Bootstrap Multipurpose Website Template / product showcase. As the world is now focusing on multipurpose output from every product. So why not multipurpose website templates ? Dolphin is a very pleasant looking brilliant Free HTML5 Bootstrap Multipurpose Website Template created by our Technext Limited team. It’s a very decent and gentle one and despite its look, it’s very efficient on its work. In answer to that question, we must ask that Why not Dolphin!! This question itself explains everything. A decent and elegant website that can be handled and can be used serving various purposes is something that can never be avoided! If we don’t like it, we won’t surf it! That’s what today’s customers think actually. Too much availability of internet sites is making them impatient. With the one click of hand, your customer is gone! It’s the harsh truth. But the well-designed outlook of Dolphin is much more fascinating to most of the clients, and it comes with a great positive feedback. What is a great asset for your business! The world doesn’t know how one web template can be easier and more user-friendly than this. You just can drive this in ways you particularly want. The amazing look of this bootstrap free corporate business template simply able to attract anyone. The Decent and elegant interior come with the possible best customer review. People nowadays are surfing websites not only on their desktop but also in devices like smartphone, tablet, phablet & others! And thus screen size and resolution changes from device to device! To cope up with this situation, we designed the template responsively to be optimized from desktop to mobile and vice-versa. It’s important technology that we must adapt to both search engine ranking & various devices users. 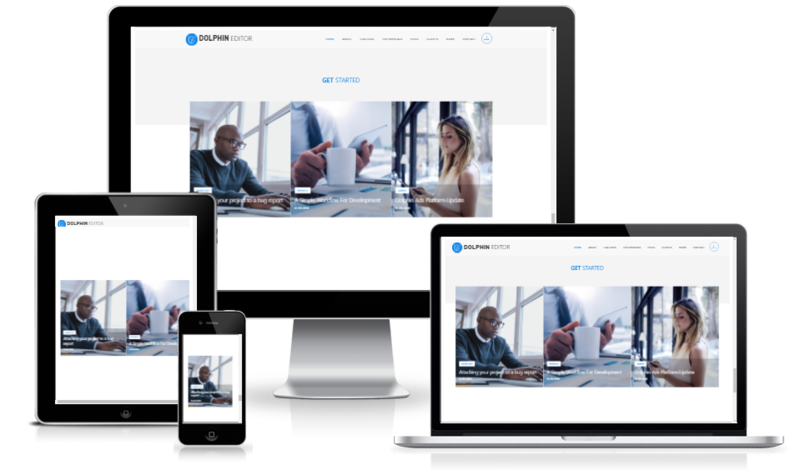 So, we designed this Free HTML5 Bootstrap Multipurpose Website Template to have a great view on the other devices. And you are smart enough to move forward with this Free HTML5 Bootstrap Multipurpose Website Template to fulfill all your necessities. Its an awesome template and the best fact is that it's free. One of the finest templates which can be used for practically as landing page. I’ve sent you the download link of the template.